The Name May Be Gentle, But the Food Is Explosive! Congratulations to the Palazzo Resort Hotel Casino, which has uncovered a true gem in its own backyard. In fact, Ming See Woo, matriarch of the Woo dynasty, is credited with bringing California-style fusion cooking to Las Vegas some 30 years ago. She's been running family-owned restaurants in Las Vegas ever since. The newest one, Woo Restaurant, is a collaboration between her and her son, Peter, who was previously executive chef at Nobu Las Vegas, where he worked for six years. 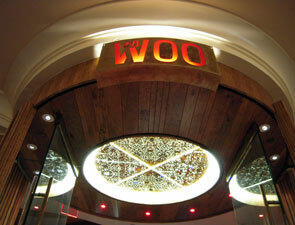 Woo Restaurant is no small achievement, either, as it is one of only a few local restaurant groups invited to build inside a major Las Vegas resort. And not just any resort, but rather the newest resort hotel casino on the Strip -- the $1.9 billion Palazzo. With more than 3,066 guest rooms, almost four acres of water -- including 45 pools, fountains and water features, not to mention 41 cabanas -- and 80 stores, including Barney's first flagship store outside of New York, Van Cleef & Arpels, Ralph Lauren and Michael Kors, the Palazzo is a truly spectacular destination. It also happens to be a delicious one, as it's home to some of the best chefs in America, including Charlie Trotter, Wolfgang Puck, Emeril Lagasse and Mario Batali. 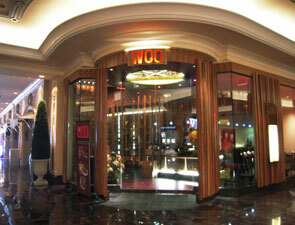 The Woo family, then, is in very good company, and it's more than earned its place there. Palazzo owners Sheldon Adelson and Rob Goldstein have done it again! 3339 Las Vegas Blvd. S.